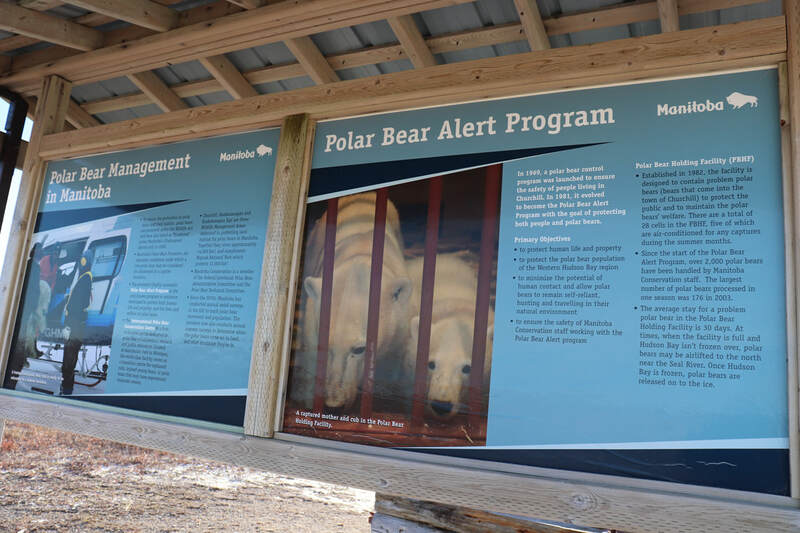 Specific management strategies are employed to limit interactions between humans and the largest tundra animal the polar bear. The most unique of these is the polar bear jail. 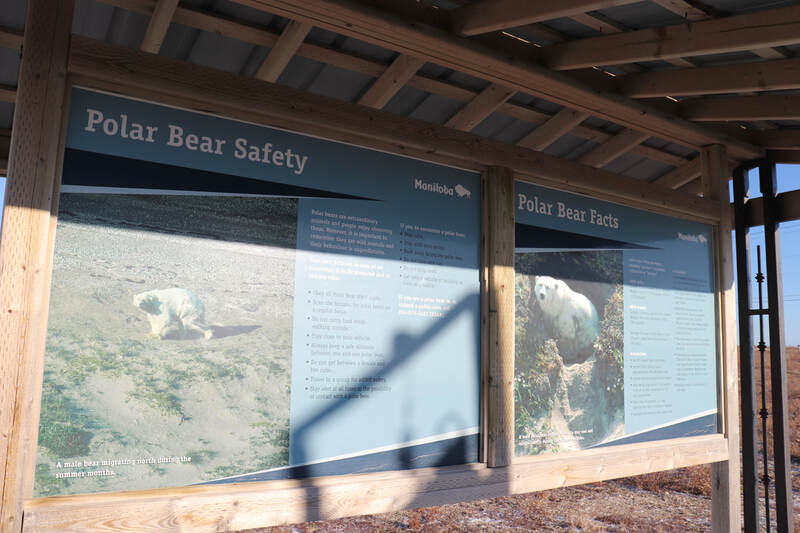 A set of zones have been set up in the area around Churchill to provide layers of protection for the tundra environments (and associated environments in close proximity). Wapusk National Park is located to the south eats of Churchill, and few activities are allowed there. This is an important denning site of female polar bears. Between Wapusk National Park and the town of Churchill is the Churchill Wildlife Management Area which is a buffer zone. In this buffer zone, several tour operators run tundra buggy polar bear tours, aurora borealis tours and photography tours. The site if also the base of a range of conservation organisations such as Polar Bears International. 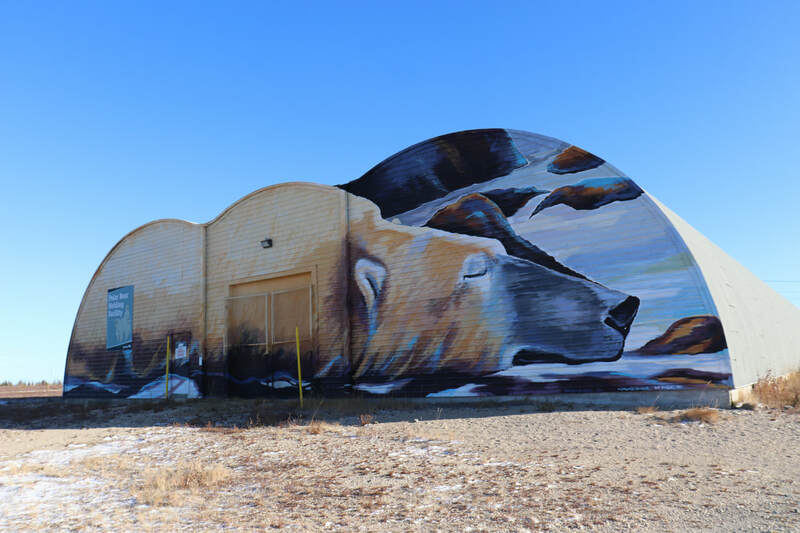 In and around the town of Churchill are natural resource extraction operations, tour businesses, homes and local businesses. Raising public awareness through art or creative endeavours, creates a focal point for the town, and an added tourist attraction for visitors. Manitoba Conservation officers carry a range of equipment to scare polar bears away or to shoot them if necessary. 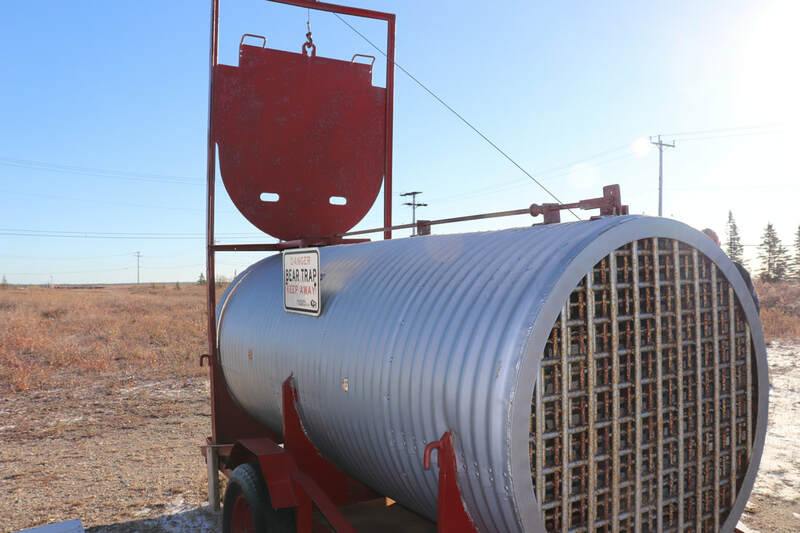 Equipment might include scare pistols, paintball guns, air horns, or firecrackers. For more detail read: For Canada's remote towns, living with polar bears is growing more risky. Signage is an effective strategy to education the general public about the local environments and flora and fauna. 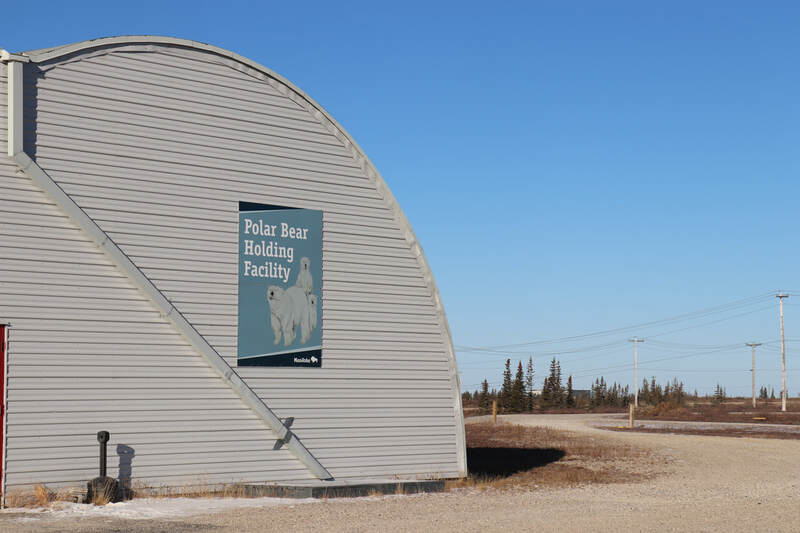 Polar bears found too close to the town of Churchill are placed in a polar bear jail, where they are held for thirty days before being helicoptered to a more remote location away from humans. Sophisticated tagging and monitoring strategies help scientists gain a better understanding of where polar bear are located.